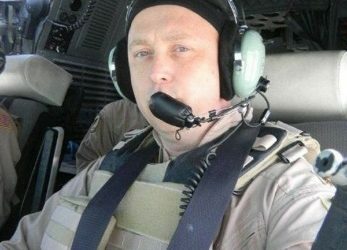 of Randolph AFB, Texas, Major Jeffrey “OZ” Ausborn, a 41-year-old airman, died at Kabul International Airport, Afghanistan on April 27, 2011. Major Ausborn and eight others were killed when an Afghan pilot opened fire on them during a meeting at the airport. The 19-year veteran from Gadsden, Alabama, graduated from Hokes Bluff High School and went on to graduate from Troy State University in 1991. That same year, Major Ausborn received his commission as a USAF Second Lieutenant. He was selected to enter pilot training in 1996. Major Ausborn volunteered to go to Afghanistan to teach new Afghan pilots how to fly the C-2. In 2008, he was profiled in the magazine, “Airman” while serving in Africa with 43rd Airlift Wing out of Pope Air Force Base, N.C. Major Ausborn had flown C-130’s, T-6’s, T-1’s and the C-27. In his spare time, Major Ausborn loved to be with his family, ride his road bike, scuba dive, and down-hill ski. Alabama football was his passion. He met his wife, Suzanna, during a deployment to Kuwait. She spoke to her husband almost daily, so when she didn’t hear from him for several days her fear of something being terribly wrong grew. Along with Suzanna, Major Ausborn is survived by his five children.